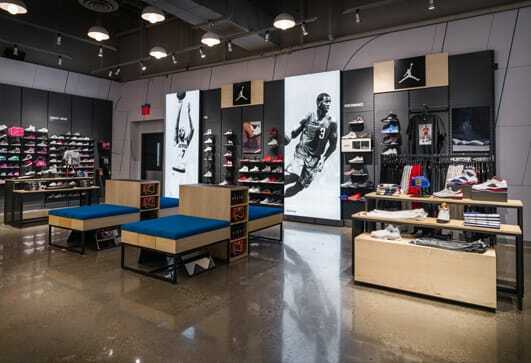 Finish Line offers the best selection of brand name footwear, apparel and accessories. Find a West Palm Beach Finish Line near you and stop in today to find the freshest styles for men, women, and kids. Shop online and skip the wait when you select our in-store pickup option. Check out a store detail page and "favorite" a nearby store location to view product availability as you shop online, then go to your local West Palm Beach Finish Line store to pick up your order. When you shop Finish Line, the top brands you love like Nike, Jordan, Under Armour and adidas are all right at your fingertips.